Other versions: SMD; SNES; GG. Hook marked Sony Imagesoft’s first collaboration with Disney, a logical meeting of minds that sought to bring the stories and characters of the silver screen to life in interactive form. 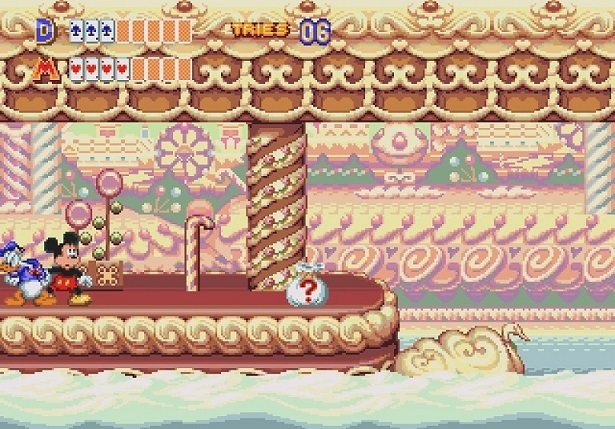 Whilst both visually and creatively the combination would later go on to yield bigger and better things in Mickey Mania, Hook would prove a likable, if conventional, platformer. Though the film, starring Robin Williams and Julia Roberts, would be met with a muted reception from critics, the game that tied in with it fared a little better, even if amidst an era blessed with the likes of Quackshot and the Illusion games, it struggled to stand out. Hook takes only occasional advantage of the CD hardware. It’s marginally superior to the other 16-bit versions, thanks in the main to small embellishments such as the (very) occasional video sequence, spoken dialogue, and a CD-quality soundtrack. It’s not a game you’d buy to show off your Mega-CD for, certainly, but it’s worth bearing in mind that it runs at a marginally nippier pace than its Mega Drive equivalent. 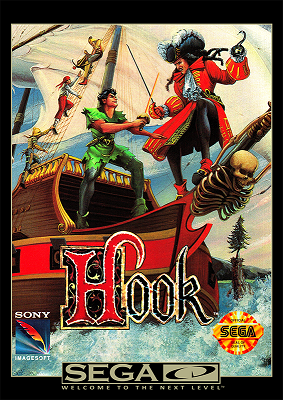 Hook nevertheless remains faintly sluggish in comparison to some of SEGA’s Disney offerings, meaning there are occasions where Peter can feel a little exposed. The setup is easy to grasp though, with jump and slash functions being the only attributes you need concern yourself with, barring brief periods of flight. That'll teach him for taking two steps at a time! It’s a well-crafted platform adventure, delivering just the right level of challenge. Whilst the early woodland scenes are over-familiar, Hook soon stretches its legs with a range of settings. 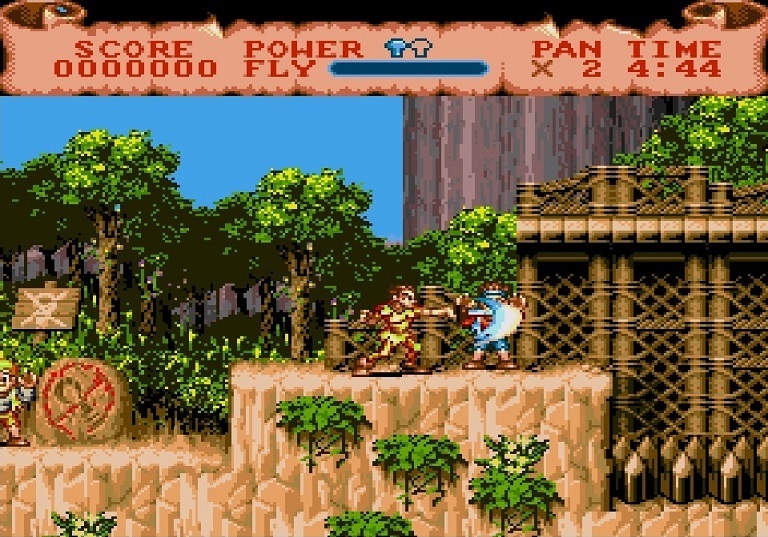 Flying Peter across a waterfall is a memorably fraught experience, as you must top-up his flight metre whilst avoiding a barrage of projectiles. Fail to do so, and he’ll plunge to his death. Later on, he must navigate a cavernous level with a flame in pursuit. Move too slowly, and you risk Pan getting burned. Too quick, and you’ll be landed in sudden and complete darkness. The difficulty increases steadily but consistently, and whilst a good helping of continues and common-sense checkpoints upon reaching bosses help, it’s no walkover. 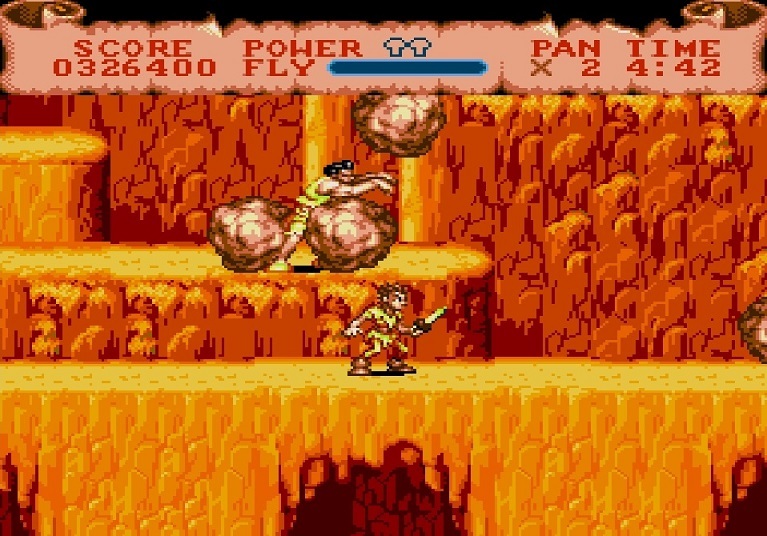 Peter can only withstand three hits before dying, an affliction that typically results in playing a level through again in its entirety. But this is fine; you’ll gradually start to anticipate enemy patterns, and good planning can reduce a level's run time considerably. 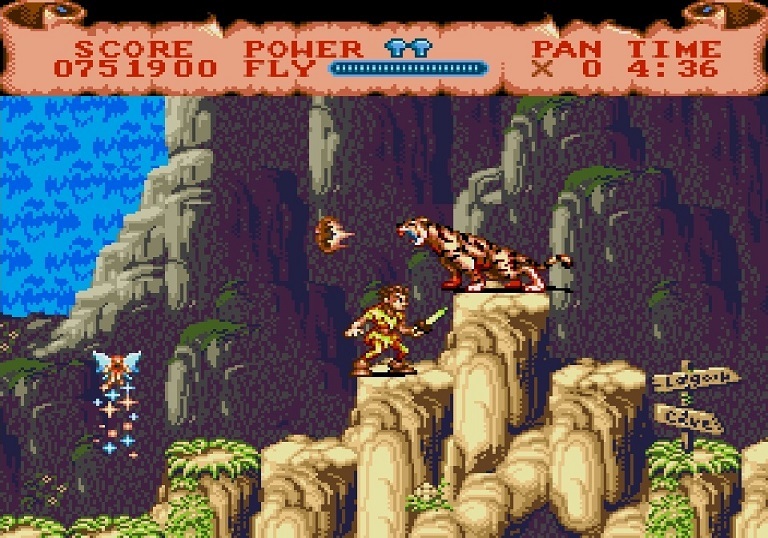 It’s also worth bearing in mind that, with the final couple of levels absolutely packed with projectile-lobbing enemies, it’s extremely tough to complete the game if you don’t carry forward health and dagger power-ups, meaning you’ll have to brave a succession of the later levels without dropping a continue to be in with a real chance of vanquishing Hook. Visually, it’s neat if unremarkable. 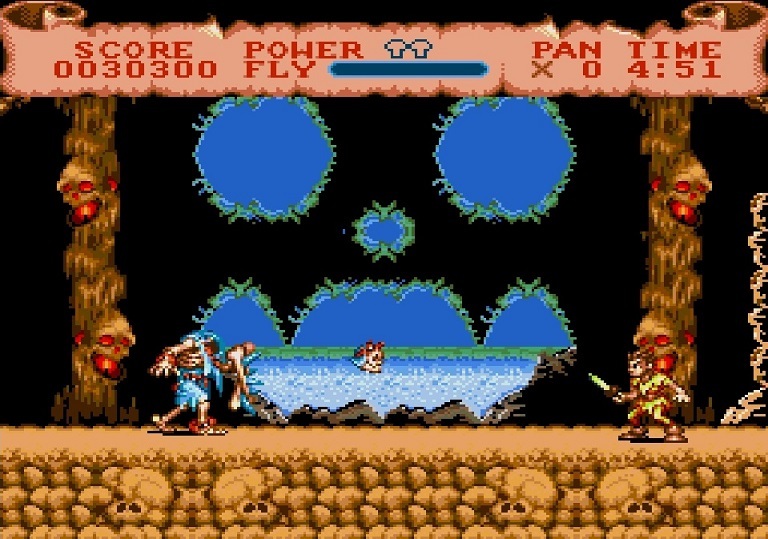 The backdrops and Peter Pan sprite in particular lack the kind of graphical fidelity and detail the format is capable of, and in sharing such close ties with its 16-bit counterparts, it ends up looking more like a tidy Mega Drive game than a full-blooded representation of what the Mega-CD can do. Nevertheless, there are reasons to be impressed. 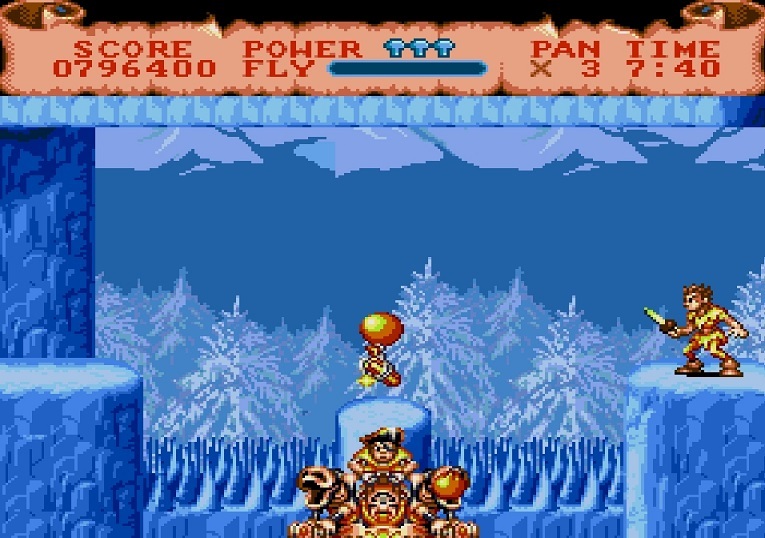 The enemy sprites are great; big and bold, they don’t merely blip out of existence upon being bested by Pan, instead delivering an appropriate ‘hands-up’ surrender animation that’s a really cool touch, and a nice nod to its younger target audience. The dizzying palette of colours serves to accentuate the individuality of each level, every one representing a different test. 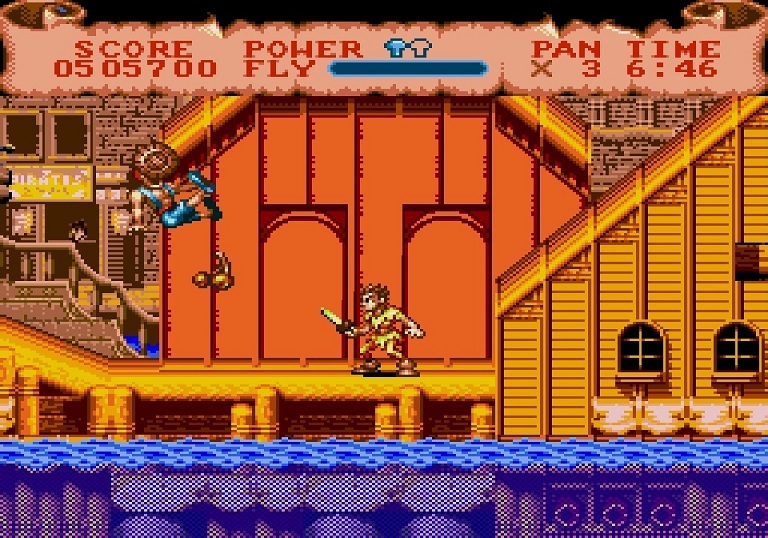 The final levels see Peter swashbuckling his way through the docks, where the game belatedly ventures some multi-layered scrolling backgrounds, in the lead up to the inevitable showdown with Hook himself. Two duels, on a ship and on the streets, make for a nice, uncluttered finale that calls for a cool head and, appropriately enough, sharp reflexes. Indeed, the bosses prove something of a highlight, with an impressive mix making for some engaging encounters, where the player has to suss out a pattern or discover a weak spot. They’re just devious enough, just fair enough, to make for some satisfying battles. That is Hook in a nutshell; it doesn’t scream quality, but offers considerable evidence of its sound build and design credentials. A small gathering of FMV vignettes add little to proceedings, so it’s left to the audio to define Hook’s one truly distinctive CD feature. Admittedly, the voicing is comically bad, but this didn’t entirely detract from the wonder of such crystal-clear sound quality, something that was a novelty unto itself in console gaming at the time. The music is arguably the game’s strongest single asset, boasting a beautiful, sweeping orchestral soundtrack full of Disney vim. All told, Pan’s return to Neverland is a good one. 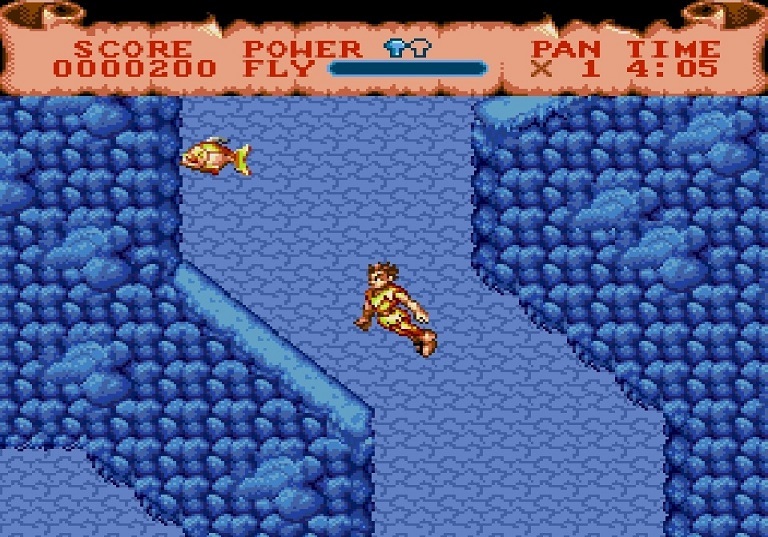 Workmanlike at times but rarely short on appealing, old-fashioned platforming, Hook offers moderate replay value in the face of a complete lack of options and a tacked-on hi-score element, which is rendered somewhat redundant by respawning enemies. Progress isn’t too painful, though getting the better of Hook himself will likely take a bit of practice, and every now and then, you may find yourself revisiting this charming platformer, whether you’ve chosen to grow up with it or not.